In love with Formula 1: Australian GP / Qualifying: Hamilton stormed on pole! Australian GP / Qualifying: Hamilton stormed on pole! Finally it´s time for the season-opening Australian GP! Now we can push aside all speculation and expectations on the pecking order and concentrate on watching who is who when the season 2015 gets underway! It was absolutely awesome to wake up at seven a.m. this morning knowing that it was the qualifying day. God, I´ve missed these F1 weekends! Toro Rosso´s rookie drivers Verstappen and Sainz started to the first session on the white-marked medium tyres as well as the Williams duo Massa and Bottas. Kimi at the wheel of his SF15-T emerged on the track on the soft Pirellis. Kvyat in his RB11 got gearbox and handling troubles already in Q1 and he came out when there were only a few minutes left in the clock. Red Bull´s pace seemed all but convincing and Ricciardo was only 11th fastest in the first session and his team-mate Kvyat didn´t make it higher than P14. Renault still seem to have the same kind of reliability issues as last year. The Mercedes duo topped the timesheets even though their fastest lap times were set on the prime tyres! Manor (last year´s Marussia) didn´t make it on track due to software problems, which meant that only three cars were excluded from Q2: Sauber´s Ericsson and McLaren´s Button and Magnussen. So McLaren had a horrific start to the season as Button was 2 seconds and Magnussen nearly 3 seconds off the pace!! In Q2 everyone headed out on the yellow-marked soft tyres, even the Mercedes drivers Rosberg and Hamilton. Mercedes´s pace was in a class of their own: Vettel at the wheel of his Eva (his very first Ferrari) was 8 tenths of a second off Hamilton´s bench mark! Sebastian has started his career at Ferrari extremely impressively: the German has beaten his Finnish team-mate in every practice session and he did it in Q2 as well! The youngest ever Formula 1 driver Verstappen didn´t make it into the final session whilst the Dutchman´s team-mate Sainz made the top ten. Kvyat was also missing out on Q3 whilst Ricciardo got through into the final session in front of his home crowd. Nasr in his Sauber and both Force India drivers (Hulkenberg and Perez) were out of Q3. A Mercedes 1-2 was very much expected, any other result would have been a huge surprise. Hamilton took the provisional pole with a 1,3-second margin over Vettel! Rosberg had had a brief engine cut-out already in the second session and the German´s first attempt in Q3 failed due to a lock-up. Also Williams´s Finnish star Bottas had brake issues in the final session and went wide on his last run so it seemed he failed to get everything out of his FW37. Hamilton managed to improve his time on his second run and the Briton stormed on pole with half-a-second margin over his team-mate Rosberg so there was absolutely no doubt of the fastest man on track today. Surprisingly Massa snatched P3 making him the best-of-the-rest behind Mercedes. Ferrari had to settle for playing the second fiddle to Williams as Sebastian made it only in P4 but beat his team-mate Kimi by 3 hundredths of a second! So extremely tight between the Ferrari team-mates :) The situation is totally different compared to that of last year´s! Bottas qualified 6th, Ricciardo 7th, Sainz 8th, Grosjean 9th and Maldonado 10th. After the qualifying session Bottas was unable to give any interviews due to back problems, which had started already in Q2. Valtteri couldn´t step out of his car without Williams personnel helping him and even walking was difficult. Valtteri was taken to the local hospital for further check-ups but it´s still uncertain whether the Finn is able to race tomorrow. I really really hope that the doctors can fix Valtteri´s back issue and we´ll see Valtteri racing tomorrow! It´s crystal clear that Mercedes is a light year ahead of everyone else but behind the Silver Arrows there seems to be extremely tight battle for P3 between Ferrari and Williams. The McLarens are on the back row of the 18-car grid and I consider it a major wonder if either of the MP4-30s makes it the chequered flag tomorrow! Red Bull might probably also hit some reliability issues and technical issues are also Mercedes´s Achilles heel. In spite of the astronomical speed Mercedes may still be vulnerable. Ferrari´s performance has proved to be consistent and competitive so I´m expecting to see both cars fighting for valuable points. 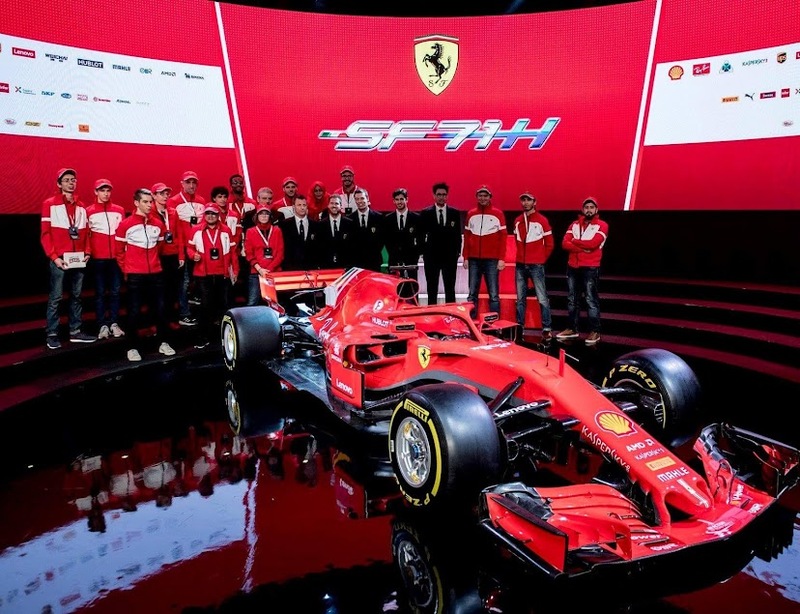 Actually I won´t mind which one of the Ferrari pilots will perform better... For me it´s a dream come true that my two favorites are now driving for the very same team! One thing I´m most certain about: The Australian GP 2015 will be won by either one of the Mercedes drivers! Anything else would be breaking news. But I´m sure there will be some surprises as well. I´m keeping my fingers crossed that either one of the red-suited drivers (or why not both of them) would stand on the podium tomorrow!